Right now, your future is uncertain, which may be the hardest part of handling a criminal charge. Most of our Tacoma clients have never been arrested, and are shocked when they find themselves being forced to deal with the complexities of the Washington judicial system. While some Tacoma criminal defense attorneys tell you what you want to hear, we will only tell you what you NEED to hear. Sometimes we may need to tell you bad news, but this means that you are getting reliable legal counsel when it's most needed. The Government and its agents, such as prosecutors and police, are not looking out for your future. You need a representative to fight for your rights and your best interests. The sooner you retain an attorney in the criminal proceeding process, the better it will be. In many cases, there are deadlines or potential defense avenues with time constraints. Having an attorney as soon as possible will give you a better chance at achieving a favorable outcome. Our Tacoma criminal defense lawyers will take your case all the way to trial, if necessary, and you will always be aware of the potential consequences to your choices as we map out the variables so that you can readily understand them. When it comes time to make important choices concerning your Tacoma criminal case, you will have confidence that your choices are well informed. Some people think they will be able to walk into a courtroom and simply explain to the judge how the entire situation is one big misunderstanding. Unfortunately, things are not that easy. Even if you are correct, someone clearly does not agree with you because you are facing a criminal charge. An attorney will be able to explain your position in the best way possible while also protecting you from incriminating yourself, should you have tried to explain it yourself. The scope of our representation will fit your needs. We understand not all people want to or can go to trial. We will work to achieve your goals in the best way possible while meeting your needs. We handle cases regularly in Tacoma and in the surrounding jurisdictions, such as Fife, Lakewood, Puyallup, Fircrest, Bonney Lake, Steilacoom, Ruston, Milton, and even Wilkinson! Why should you retain a member of our team of Tacoma criminal attorneys? With more than three decades of combined experience handling complicated Washington legal cases, we are uniquely poised to provide you with reliable legal counsel. As dedicated Tacoma criminal defense attorneys, we will fight to defend your freedom while acting as your personal advocate with the court. 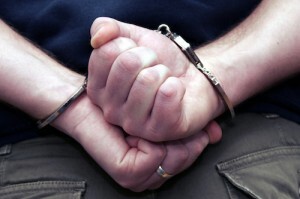 If you've been charged with any crime, contact one of our Tacoma criminal defense lawyers today. We will help you address all time-sensitive issues on schedule, and keep you informed when developments warrant your immediate attention. Schedule a free case evaluation with one of our experienced Tacoma litigators today, and take that first step toward resolving your criminal case. Now is the time to take action and do everything in your power to minimize the damage a conviction can cause, and our lawyers are ready to help.